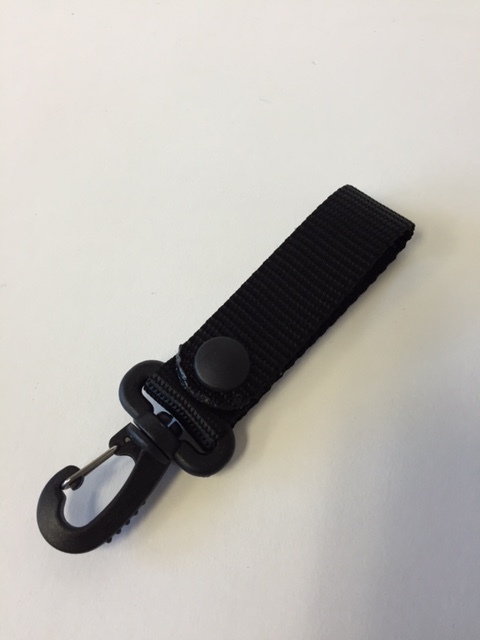 L&M Tactical makes several models of duty key ring holders. All models utilize the same high quality nylon webbing and military grade hardware. This model leaves the keys exposed for quick access by the user. It features a high impact swivel snap hook.